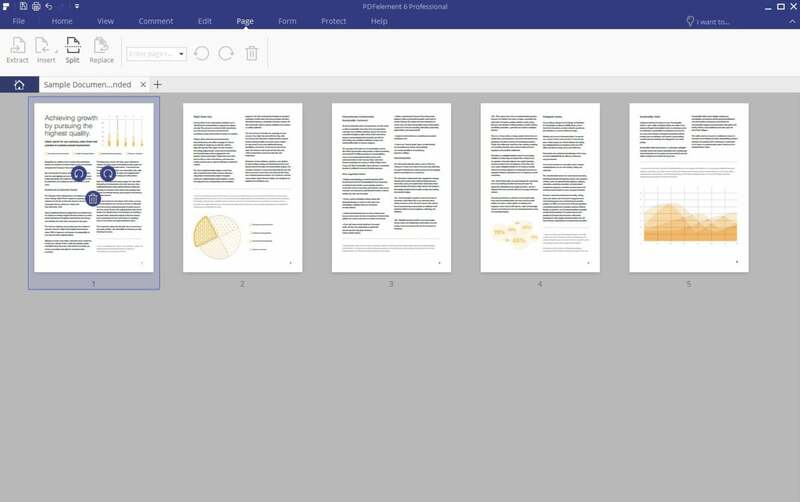 Business-ready features and an uncluttered interface make this PDF editor a joy to use. Professional-level PDF editors have a reputation for being feature-rich but complicated to use. Wondershare’s PDFelement 6 Pro bucks that trend, somehow managing to be a delight to use without sacrificing essential productivity capabilities. The editor seemingly spares not a single business-ready feature. It converts PDFs to Excel, Word, EPUB, PPT, Pages, HTML, RTF, and text formats, and creates them from images, HTML, and text file formats. It also supports annotations, text editing, form creation, data extraction, password-encryption, and permissions-based restrictions. But it’s most laudable feature is its uncluttered, easily navigable interface. 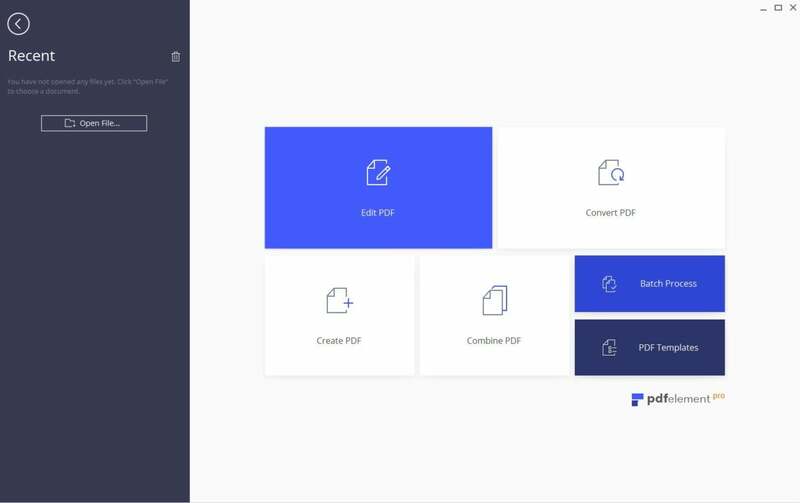 Similar to what we saw in iSkysoft’s PDF Editor 6 , PDFelement’s home screen displays its basic capabilities—edit, create, combine, convert, and edit PDF form—on large clickable tiles so you don’t have to hunt through nested menus to find what you need. Once you select an option and open a document, a cleanly laid-out toolbar for master functions such as commenting, security, and page management, activates. Clicking on any of these opens a second toolbar with options related to that function. The experience is identical across Windows and Mac versions, so you can seamlessly switch from working on one platform to another. PDFelement displays all its core functions as clickable tiles. As for the actual PDF editing, you can modify PDFs directly by adding images, cropping, watermarking, adding links, changing the background, and editing text. For the last, you have a choice of doing in-line or within a paragraph-bounding box. Annotation options include text highlighting, sticky notes, stamps, signatures, and freehand drawing, and there’s a wealth of customizability using color, fonts, and other elements for most of these options. If you need to compile data from PDF forms for spreadsheet analysis, you know what a challenge it can be, with extensive copying or rekeying that has the potential to introduce errors. PDFelement’s data extraction feature does it for you automatically and saves it to your choice of .CSV or Excel file with surprising accuracy. Even basic editing needs feel more friction-free in PDFelement. Reordering multipage PDFs is as simple as selecting a page and dragging it to a new location. And forms creation is streamlined by simply dragging and dropping elements like radio buttons and list boxes onto the page. PDFelement Professional, which includes all the features mentioned here and more, is available for $99.95 for a single license. A Standard version that does not include advanced business features such as batch conversion, redaction, and data extraction, goes for $59.95 per license. You can try both for free with some feature restrictions. Mobile versions for Android and iOS are available for free. PDFelement Pro 6’s interface is simple to navigate and much more straightforward than the too-busy Office-style approach many PDF editors now use. It enables a butter-smooth workflow for even the most advanced business needs. 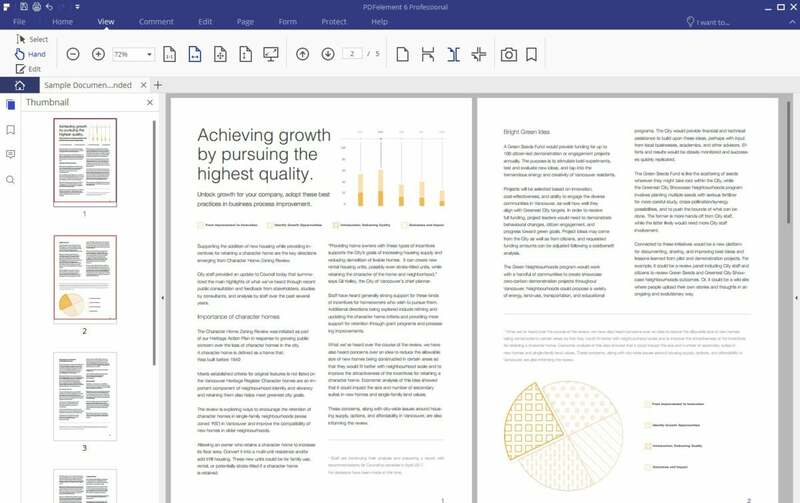 At a fraction of the price of most other professional grade PDF editors, it’s one of the more compelling Acrobat alternatives.